You should create maintenance plans for SQL server for fragmented indexes. If there is high index fragmentation on the database tables. This suggests the index defragmentation script should be run nightly. One key value that is provided in the report is the Operation Recommended field. A value Rebuild in Operation Recommended column is an indication that the index is fragmented. How to create this plan? 1. 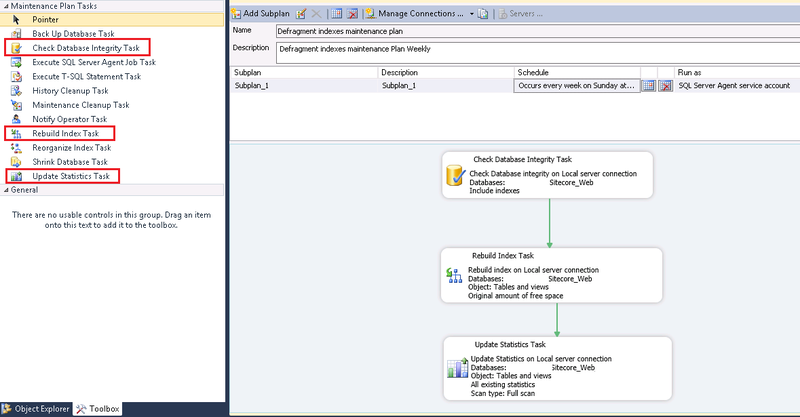 Launch SQL Server Management Studio. 2. 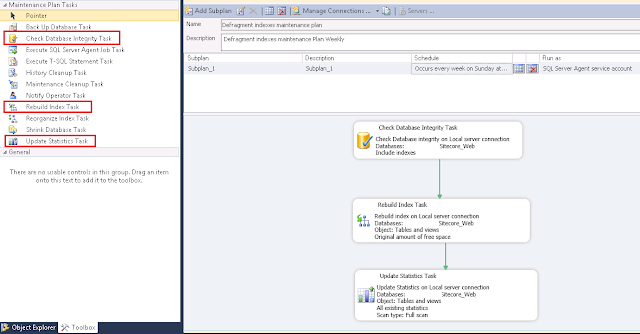 In the Object Explorer expand the Management folder. 3. Right click the Maintenance Plans folder and select New Maintenance Plan. 4. Give the MP a meaningful name such as Defragment CMS Indexes. 5. 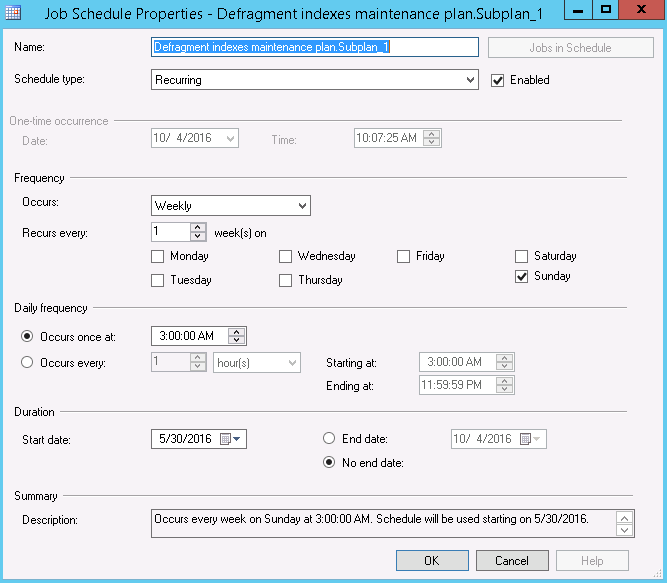 From the Toolbox drag and drop a Check Database Integrity Task, Rebuild Index Task, Update Statistics Task and place them vertically in the same order. 6. Connect the tasks together by dragging the arrow from one box to the other so they are connected as: Check Database Integrity Task -> Rebuild Index Task -> Update Statistics Task. 7. Right click the Check Database Integrity Task and select Edit. 8. Select the Connection and CMS databases — Core, Master, Web — and click OK.
9. 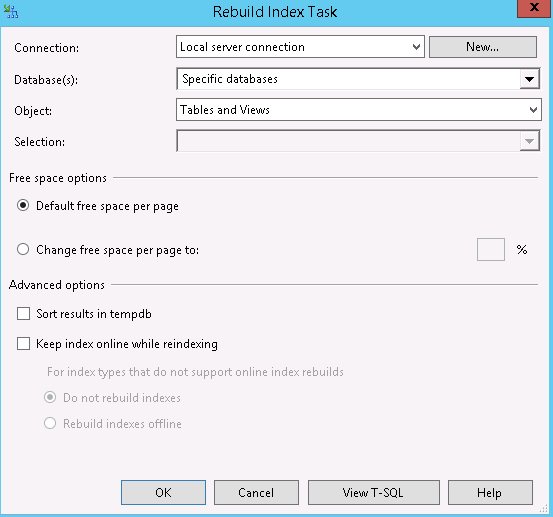 Right click the Rebuild Index Task and select Edit. 10. 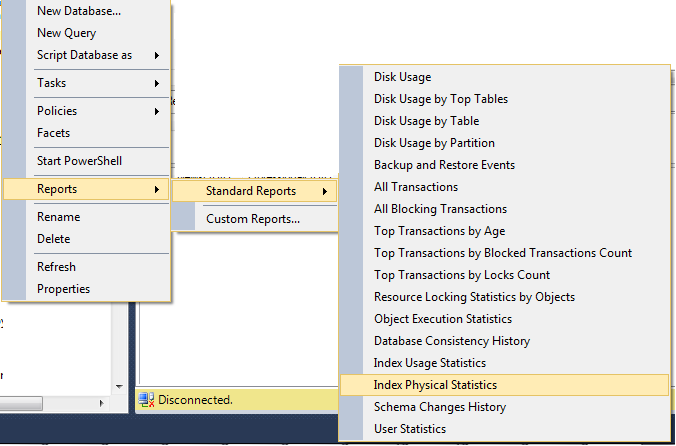 Select the Connection and CMS databases — Core, Master, Web — and then select the Keep index online while reindexing checkbox — enterprise edition of SQL Server only — and click OK.
11. Right click the Update Statistics Task and select Edit. 12. 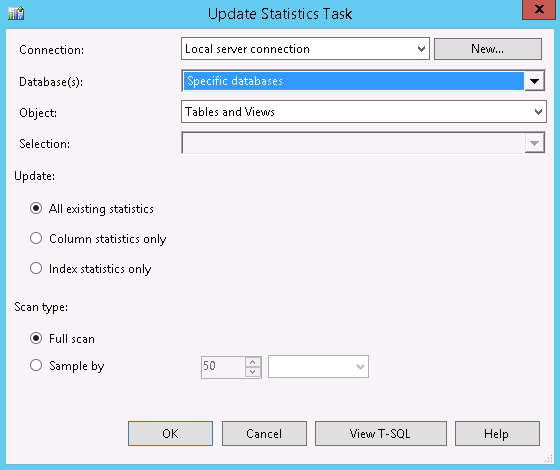 Select the Connection and CMS databases — Core, Master, Web — and set the Object to Tables and Views, Update All existing statistics, Scan type = Full scan, and click OK.
13. Click the calendar icon next to the Schedule (upper right corner) and set the schedule to run weekly. Tip: – You should create three separate maintenance plan for CORE, MASTER and WEB databases and schedule them on different time.